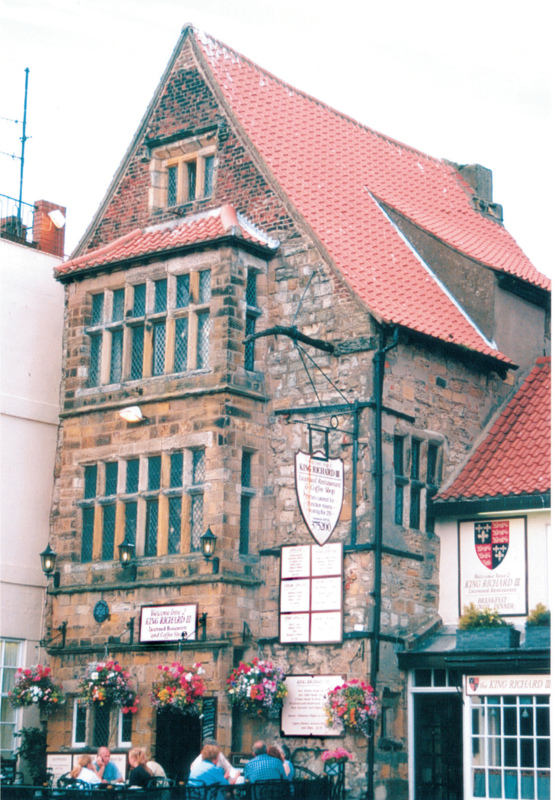 Richard Plantagenet is reputed to have stayed at this house on Sandside when he was Lord High Admiral to his brother, King Edward IV. When he became king, Richard III radically reorganised our sea defences and is credited with being the founder of the English navy in the modern sense. 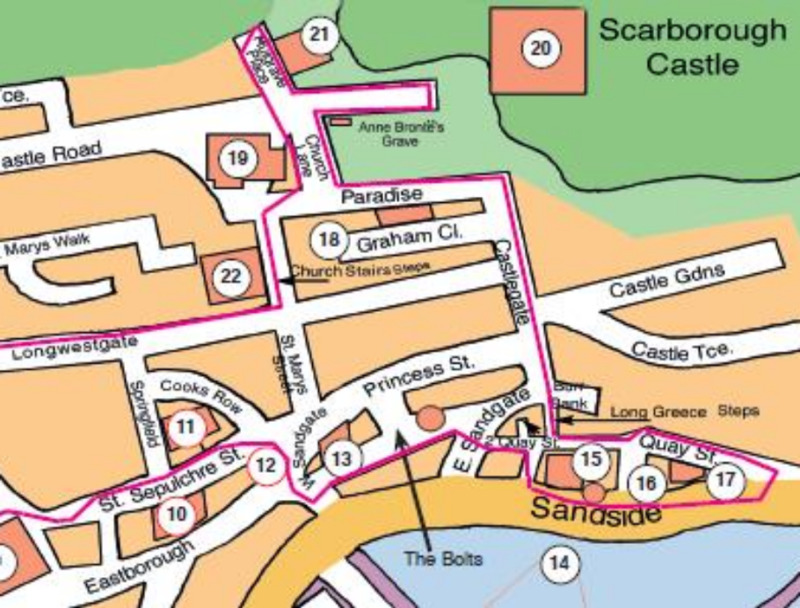 By this time, he was living in Scarborough Castle on his visits to the town. When the ‘Navy of the North’ was based at Scarborough Harbour, Richard apparently took command of the fleet at least once, when it was engaged in naval warfare with the Scottish Fleet. He granted a wide-ranging charter to Scarborough during his short reign (1483-85). Richard III house is a very distinctive stone building which has a complex history. Much of what we see today is probably the partial survival of a much larger 17th century hall house; note the stone mullioned window in the side elevation. However part of the structure especially at ground floor level may be 15th century; this may be a house which was owned by Thomas Sage in the 1480s. The three storey bay window was built in 1912; it is a replica of a 17th century feature which had been removed in the 19th century. Inside King Richard III’s house, the principal feature worthy of note is the 17th century decorative plaster ceiling in the upper room known as the King’s bedchamber. Its motifs include bulls, parrots, two sea serpents (or dolphins) and ‘three hare’ symbols. The centrepiece is thought to be the rose of York – Richard’s family emblem. There was a shipyard in front of King Richard III’s house during the 18th and 19th centuries and many others in both directions in the days when shipbuilding was important locally. All traces of the shipyards, the numerous slipways and the associated warehouses and chandlers’ stores have vanished. Continue along Sandside towards the Castle & Marine Drive until you pass the Golden Ball. Click on this link to continue your walk to 16. Shipbuilding in Scarborough.